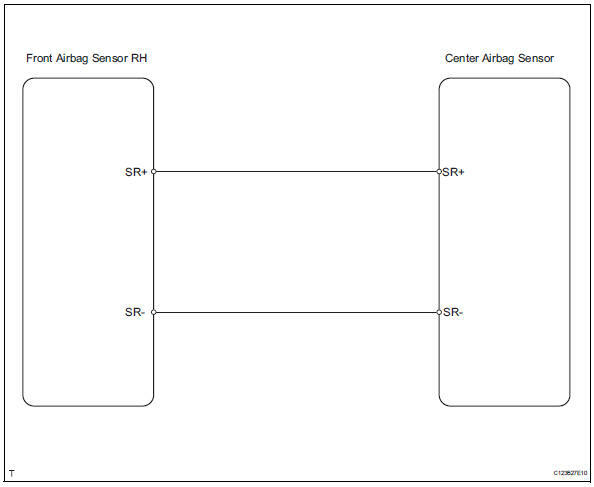 The front airbag sensor rh consists of the diagnostic circuit, the frontal deceleration sensor, etc. If the center airbag sensor assembly receives signals from the frontal deceleration sensor, it determines whether or not the srs should be activated. Dtc b1610/13 is recorded when a malfunction is detected in the front airbag sensor rh circuit.